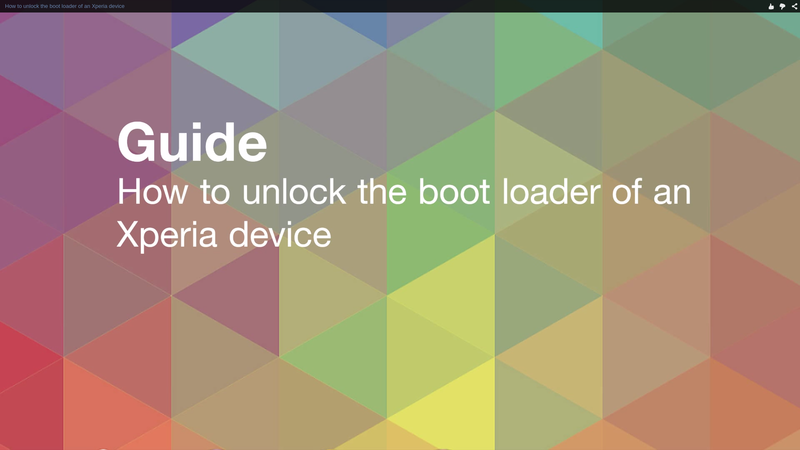 For casual smartphone users, the bootloader is more than likely something of a mystery. Many users don’t know what it does, and there’s a fair chance that they’ve never even heard of it. For XDA users, the bootloader is something that allows us to flash custom kernels and ROMs. Some OEMs and carriers, however, lock the bootloader and don’t give users a chance to unlock it. Luckily, not all OEMs and carriers perform such a practice. Quite a few times now, Sony has proven that it is a relatively developer friendly OEM. The Japanese OEM has since maintained a strong connection with the community, even hiring XDA Senior Recognized Developer jerpelea as their Developer Relations Manager. Instead locking the bootloader like they used to do in they early Sony Ericsson days, Sony makes it as easy as possible to develop on your own device. As such, the OEM decided to publish a video showing how to make your device custom ROM-ready. Sony’s video guide demonstrates the processes using Windows, the most commonly used OS. This is beneficial, given that installing the needed software isn’t that easy as on Linux or OS X.
It’s definitely nice to see that some OEMs do care about power users. Sony once again is creating a new standard, which hopefully will be followed by other major brands. Below you can watch the video guide.